Many parts of Upper Egypt as Sinai and Red Sea areas were hit by severe flash floods since 1976. Wadi Qena is considered one of the most watersheds that suffers from floods in Red Sea area. It was recorded by the General Authority for Roads, Bridges & Land Transport (GARBLT) that the flash flood destructive effect always occurs on El-Geesh–Hurghada Road which is located in the southern part of Wadi Qena watershed. The current study investigates the assessment of endangered areas in Wadi Qena watershed based on a suggested concept of multi-method approach which is a combination of morphometric ranking method and El-Shamy approach. The morphometric analysis is applied using set of parameters which are classified into three categories: basin geometry, drainage network and texture, and relief parameters. For basin geometry, the considered parameters are the watershed area (A), elongation ratio (Re), circularity ratio (Rc), form factor (Ff), and compactness coefficient (Cc). For drainage network and texture parameters, stream frequency (F), texture ratio (Rt), length of overland flow (Lo), and drainage density (D) parameters are considered. For relief parameters, the parameters are mean basin slope (Sm), relief ratio (Rr), and ruggedness number (Rn). A filtration process for the above twelve parameters is considered for reducing the number of parameters by omitting the parameters which have inverse effect on the flood severity of the study area. It is concluded that six parameters have a direct effect on sub-basin hazardous including A, D, Lo, Sm, Rr, and Rn. 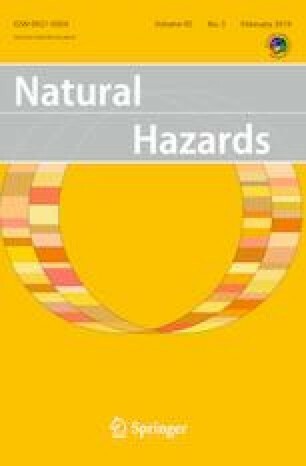 Sensitivity analysis is concerned for ranking the selected parameters by their significant parameters in assessing the most hazard sub-basins. An overall assessment map is constructed showing the hazard degrees of the sub-basins. The constructed map concludes that the sub-basins are divided into moderate and high hazard ones. Moreover, the results show that the high hazard degree sub-basins are concentrated in the middle and east of the watershed with a percentage of 18.5% of the total area. The developed overall assessment map can be used for assessment and mentoring processes of flood mitigation and planning. The first author would like to thank Egyptian Ministry of Higher Education (MoHE) for granting him the Ph.D. scholarship. Also, thanks and gratitude are to E-JUST and JICA for their support and for offering the tools needed for this research.